he knows it does too. 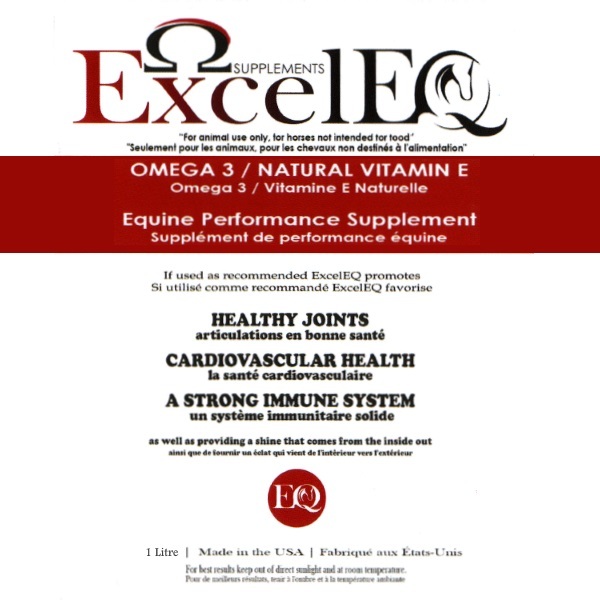 Excel Supplements is Canada’s provider of all natural camelina oil supplements offered at affordable pricing. 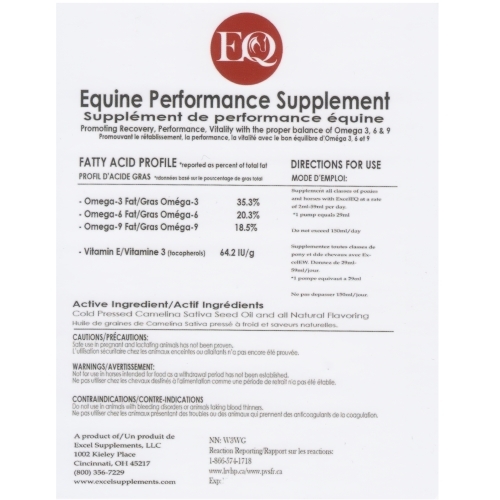 Excel Supplements horse formula, ExcelEQ, provides essential Omega-3 fatty acids & Vitamin E antioxidants to help improve your horse’s coat, body conditioning and overall performance. We urge you to read through the provided information about camelina oils and view our testimonials. The only way to preserve camelina oils freshness. Only supplement in Canada tested and proven safe. Every animal is a soul blossoming in nature. Follow ExcelEQ | We’re Social Animals! Send us an email and we'll get back to you faster than you expect!